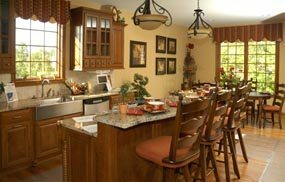 Toebben has been in the home-building business for over half a century, here is just a small sample of the custom homes, landominiums and renovations that they’ve created. Toebben Builders featured a 3400 square foot ranch in the May 2009 Cavalcade of Homes Show. The home is a part of the maintenance-free community of Squire Valley and featured state-of-the-art electronics and custom woodwork. Located in Villa Hills, Kentucky, Country Squire Estates features large, picturesque lots with easy access to several of the best private and public schools in the region. Check out our portfolio of beautiful homes or act quickly to secure one of the few lots we have left! 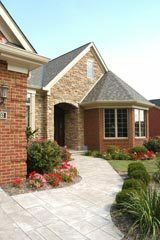 Luxury landominiums look very similar to a custom home on the inside but the beautifully-landscaped exteriors are maintained by the homeowner’s association. Browse the portfolio to see the custom trim and detailed woodworking. If you like where you live but wouldn’t mind a little more room, finishing that basement or adding on is a wise idea. 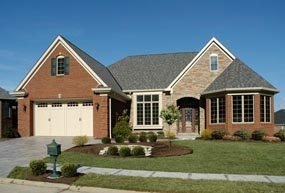 Now, exclusive to Toebben homeowners only, Toebben Builders are offering remodeling and additions services. Click on photo for portfolio and brochure! Interested in a Squire Valley Landominium? Click the photo above for more information!